I’m the central contact person for families with children who have mental healthcare needs. I’m here to help link youth and families to the right mental health providers and services in Scott County. If you’re not sure where to start, I’m the right person to talk to. I work with local Scott County Kids Early Childhood Iowa board to determine community needs. I also contract with community agencies to provide identified services and help create a early care and education system for Scott County. I work with providers to ensure children do not enter the child welfare and/or juvenile justice system or ensure a safe exit. 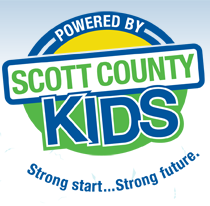 I also help coordinate youth mental health resources at Scott County Kids.